Uses: Used for indoor access for sign installation, electrical work, installations, painting & cleaning. Features: Electric powered. Safety level sensor. Built in battery charger. Pothole protection. Non marking tyres. 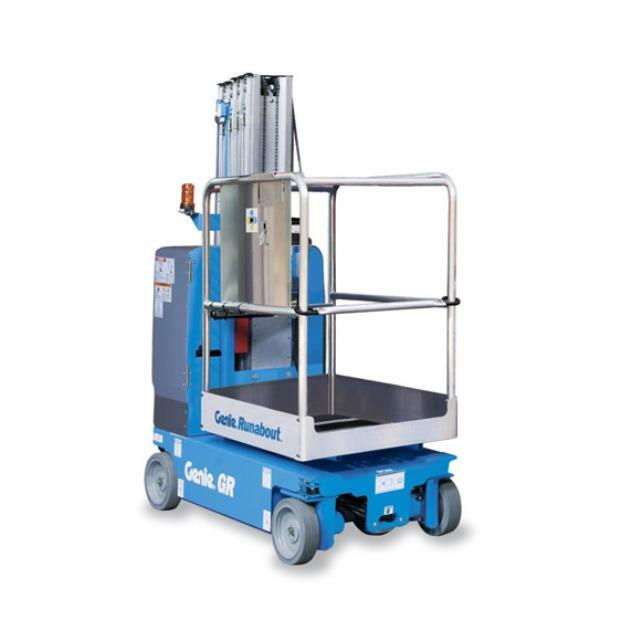 Working Height 20 ft 8 in (6.47m), Lift Capacity 500lbs (227kg) Platform Height 14.8ft (4.47m), tyres are non marking, Drivable at full height, Compact and low-weight; fits in most passenger elevators, Auxiliary platform lowering.